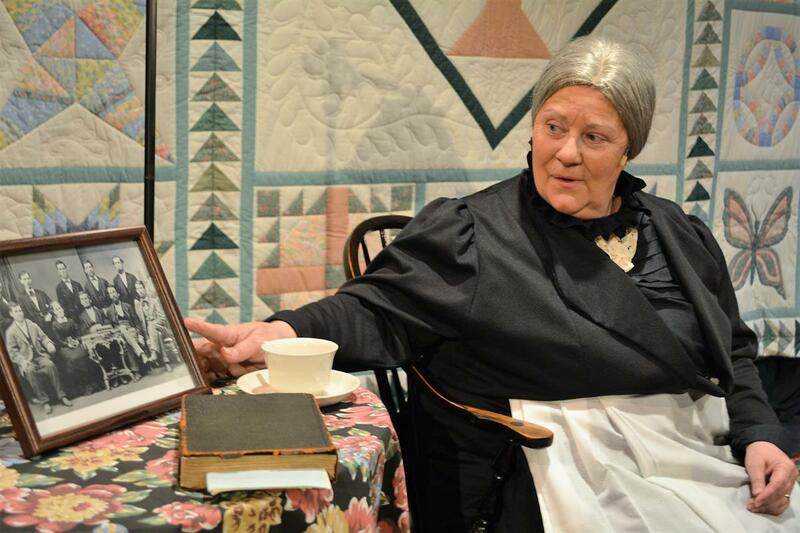 Cherry and Spoon: Minnesota Fringe Festival 2018: "Hephzibeth, Woman of Iron"
Minnesota Fringe Festival 2018: "Hephzibeth, Woman of Iron"
Summary: Hephzibeth Merritt, a Minneosta pioneer woman whose family founded the largest iron mine in the world, in the Iron Range, tells us her story. Highlights: In this solo show, Lauren Nickisch personifies her ancestor Hephzibeth Merritt as she has an afternoon chat with one of her many granddaughters, on the day that her sons and grandsons lose their mining and railroad business to John D. Rockefeller in 1893. But Hephzibeth is a survivor, so she doesn't see it as a defeat, just a change and an opportunity for something new. Anyone who gives birth to and raises ten children and moves with them to a new uncharted land (aka Duluth) has to be tough. It's wonderful to hear the stories from Hephzibeth's mouth, for by the end of the play you believe that Lauren is this sweet old grandma who's lived a long, difficult, accomplished, and rewarding life. 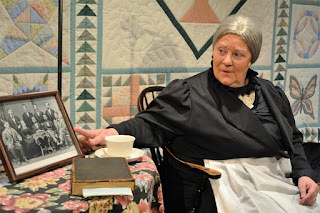 Stories of Minnesota's history (including unpleasant parts like what she calls the "New Ulm Massacre" that we now refer to as the US-Dakota War) are mixed with family stories of loss and joy; one gets the impression that Hephzibeth's stories could go on for days. The Wikipedia page about the Merritt brothers of course does not mention their mother, as much of the history books omit women's contributions to the growth of the country and Minnesota. Thankfully we have this engrossing hour of Minnesota history told from the perspective of one of our pioneering women ancestors.